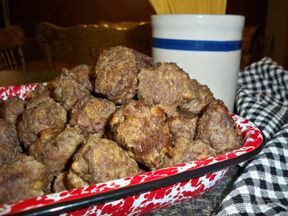 Mix all meatball ingredients and form into balls. Makes about 52. Blend sauce ingredients in blender. Pour over meatballs. Bake 45 minutes at 350°. You do not have to fry meatballs first. 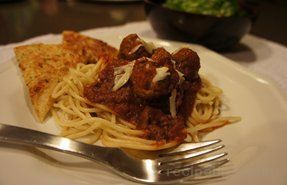 The meatballs can be made ahead and frozen, then add sauce when ready to bake.